Accused of being an OPM member and burning down a school and public buildings in Wunin District, Tolikara Regency. Yusanur Wenda was arrested in January 2005 in Wunin sub-district in the Papuan Central Highlands. Along with at least six others, he was accused of burning down a local school and district government building, and being a member of the Free Papua Movement (Organisasi Papua Merdeka, OPM). We believe that seven people were convicted in connection with this incident: Limanus/Lewanus Wenda; Yotimin/Yoimin Weya; Similes Gire Tabuni; Yohan/Yowan Hiluka; Manase Telenggen; Yusanur/Yus Wenda, and Nipenua Wenda. A number of other people were reported arrested at the time, including Natan Wenda, Benius Kogoya, John Hiluka and Solimin Weya, but it is not known whether they were detained for a longer period or whether they faced trial. The information surrounding the arrests, detention and trial in this case is far from complete. Understanding how events unfolded in Wunin in early 2005 is further complicated by the fact that different sources have used different spellings of the names of the men involved. However, human rights lawyers based in Papua consider Yusanur Wenda to be a political prisoner. The Wunin arrests briefly made headlines in the Indonesian national press because it was reported that Kelly Kwalik, a well-known OPM leader, was among those arrested. Despite the initial publicity however, there is still much ambiguity about how many people were arrested and on which date. An article originally published in national newspaper Kompas states that seven people were arrested by the police Mobile Brigades (Brigade Mobil, known locally as ‘Brimob’) on 22 January 2005. Another Kompas article lists a Yothanur Wenda amongst the seven names. Neither of the original articles is currently available on the Kompas website. A Cenderawasih Pos article claims that six suspected OPM members were arrested on 21 January 2005, and were being held along with another three men who had been arrested previously, suspected of involvement in the burnings. Yusanur Wenda is not mentioned in the list of nine names in this article. Reverend Socratez Sofyan Yoman, president of the West Papuan Baptist Church, wrote a report about the incident on 30 January 2005, and other than mainstream media reports, this is one of the few independent sources on what might have happened. Reverend Yoman lists eight names of those arrested, and claims they were ordinary civilians, not OPM fighters. Yusanur Wenda, however, is not on this list although the possibility remains that he is represented by a different name. Reverend Yoman also made clear that neither Papuan Highlanders nor the OPM would burn schools because it was not what they were fighting for. According to Reverend Yoman, neither church representatives nor the prisoners’ families had been allowed to meet the prisoners. Some days after the arrests, Indonesian military Commander Nurdin Zainal finally clarified that it was not Kelly Kwalik who had been arrested, but actually a man called Manase Telenggen. Whether or not Mr Telenggen gave the name Kelly Kwalik when he was arrested, or whether this was an act of deliberate deception by the military remains unclear. Reverend Yoman suspects the latter in his report, as does the Office for Justice and Peace (Sekratariat untuk Keadilan dan Perdamaian, SKP), who analysed the situation in their Papua Aktual report. They point out that this disinformation created a false public opinion, while there were then no further reports regarding the real identity of the group, whether or not they were involved in acts of violence and the legal processes initiated against them. They believe such a tactic creates an impression of the Central Highlands as a conflict zone, hence justifying the military presence. Regarding the original incident of the burnings, an article was published by West Papua News on 15 January 2005 (ie several days before any arrests took place) and was posted on various websites. The report states that military troops from the Special Forces unit (Komandan pasukan khusus, Kopassus) arrived at 08:00 and burned down all the houses in the village as well as the public buildings. Brimob were also reportedly present, arriving in an Air Force helicopter. 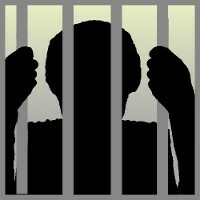 No reports have been found about the subsequent conditions of imprisonment, trial or sentence of those arrested. On 4 June 2012 following a jailbreak at Wamena prison, four of the prisoners whom we believed to be in detention following this incident reportedly escaped. They were listed as being ‘treason’ convicts, and were named as Yostimin Weya, Yohan Hiluka, Manase Talenggen, and Limanus Wenda. This event provided confirmation that those arrested in 2005 were still in detention at the time of their escape, suggesting that the remaining three prisoners, including Yusanur Wenda, are likely still in detention.